Former President Barack Obama made his official pitch to voters today ahead of the 2018 midterm elections: "You need to vote because our democracy depends on it," he said at a speech at the University of Illinois at Urbana-Champaign. Why it matters: Democrats hope Obama is their secret weapon to really push Americans to turn out in November. And it could work — his post-presidential approval rating is 63%, per Gallup. One big thing: Obama mentioned President Trump. "It did not start with Donald Trump," he said. "He is a symptom, not the cause" for what's going on in American politics. Obama will be in California on Saturday and Ohio next Thursday as he hits the campaign trail. 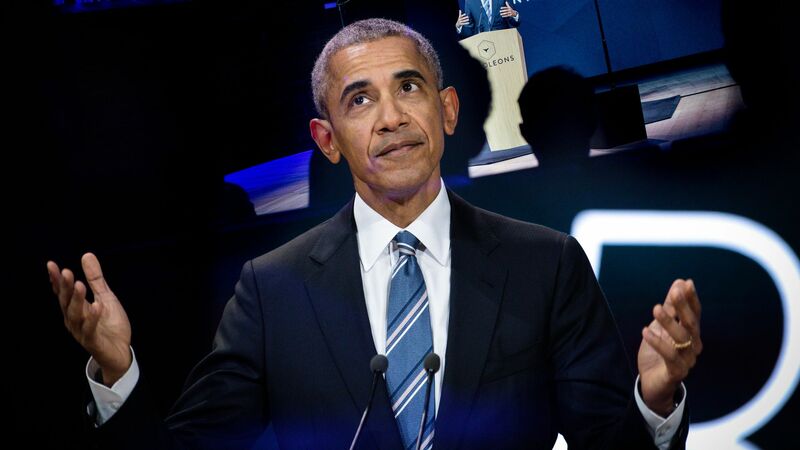 Be smart: Obama's message could be most successful for Democratic voters looking to embrace activism in the final two months of the election, but it could also remind those Obama-Trump voters what they liked about politics before President Trump ran for office.